Going East on I90 take exit that says to Warden, WA. At stop sign you will turn left on U NE. Drive North to 3 NE and turn right. Drive East to W NE. Turn Left - go north to 6 NE and turn right on dirt road. 6 NE becomes Rehn Road at the Adams County Line. 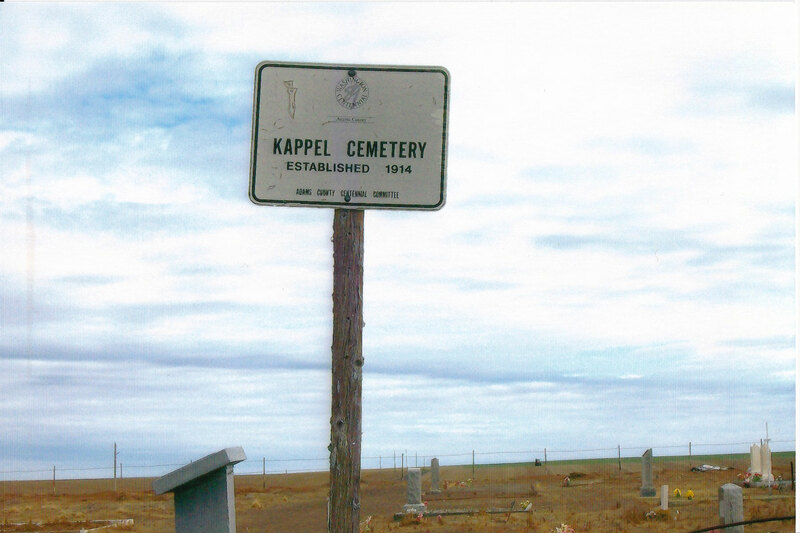 The Kappel Cemetery is on the corner of Rehn Rd and Irby Rd in Adams County. The Cemetery is located approximately 1 mile east of W NE.